You know how it is. Someone you know gets a new luxury car, and the first thing you do is ask to slide into the front seat, and oh … it feels so extravagant! You run your hands over the smooth leather, settle them on the steering wheel, and then immediately examine the dashboard. It’s the central hub – the command center – where you can see all the action and monitor everything from oil levels to RPMs. 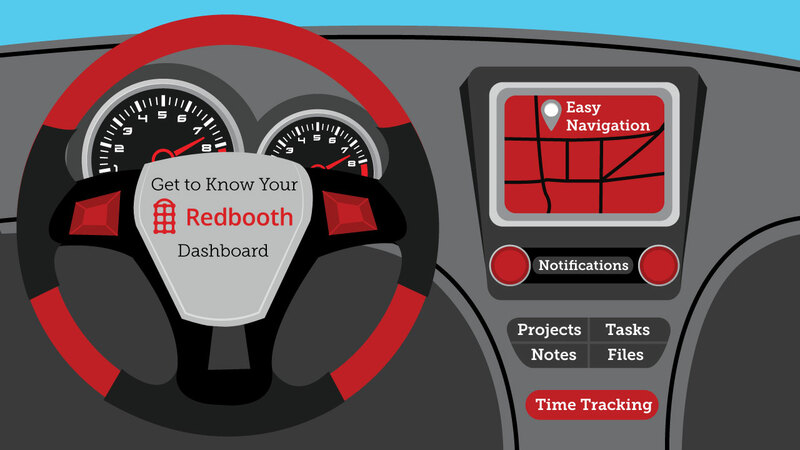 That’s kind of how our Dashboard is … it’s the first thing you’ll see when you log in to Redbooth. And while we don’t include leather extras or built-in OnStar Navigation, our Dashboard helps you stay on top of all the tasks and conversations you’re following, whether they are assigned to you or not. 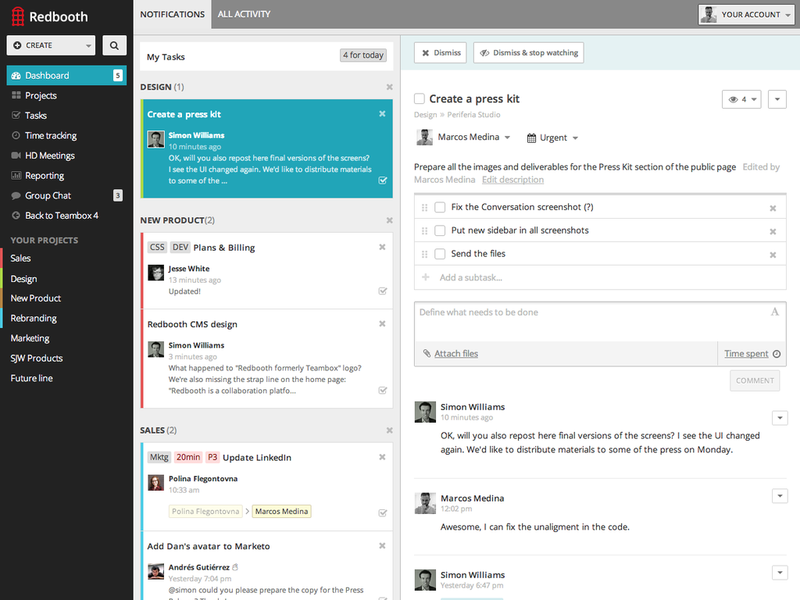 It’s the command center … where you can catch up on the latest activity without cluttering your email inbox. So, start maximizing your Redbooth collaboration performance today by taking a look at some of the Dashboard’s basic functions. gives you a quick view of your Tasks for Today. allows you to reply to messages on the spot or mark notifications as read. refreshes with activity in real-time, even across multiple browser tabs! If you navigate away from the Dashboard to another page in Redbooth, you can always easily see if there are new updates with the notification count on the sidebar. Whenever there’s an update in a project, the sidebar will automatically bring that project’s notifications to the beginning of the notifications list. This way you always see the newest updates first. The dashboard will only display elements you are watching, meaning you have been added as a user to notify, you have created those elements, or somebody else has assigned that task to you. For a view of all activity, regardless if you are watching it or not, take a look at the All Activity view. Use this tab if you want an overview of what’s currently happening inside your Redbooth. 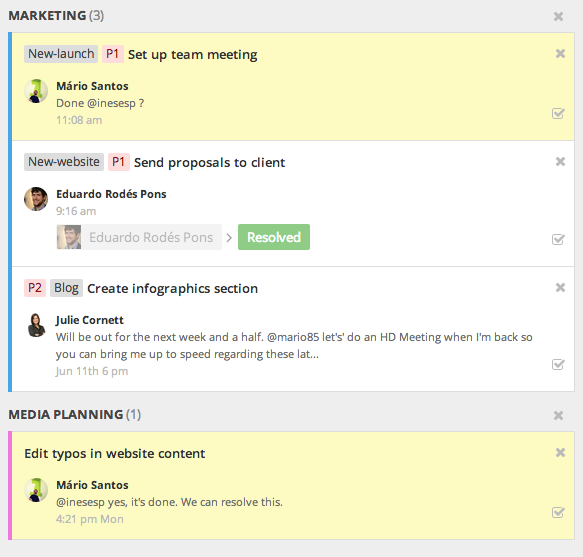 Every action from uploading a file to updating a task, conversation or note will appear here in a chronological order. The most recent actions appear at the top, and as you scroll down, you move back in time and see what was done throughout your organization. Up/down (or j/k) to navigate the threads. Backspace to mark threads as read. Enter (or right key) to select a thread (task or conversation) on the reply or add comment box. See your reply instantly within the thread. Esc to go back to keyboard navigation. We want your dashboard experience to be a smooth one, so please let us know if there is something you don’t understand or are having a hard time figuring out by emailing us at help@redbooth.com. You are also welcome to send us your ideas and suggestions to improve your overall experience via our help center.